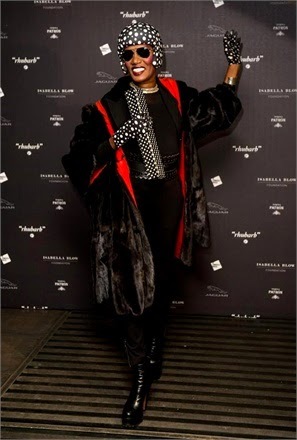 Grace Jones at Isabella Blow opening party at Somerset House. Big Up for Grace - island girl rocking it in London! For more images from the opening party go HERE.